Across Europe and America, governments and intelligence officials are struggling to address the problem of Western Muslims who join the jihad in Syria – and then come back home again. But in the process, they may be missing the bigger threat: the ones who never left. Counterterrorism experts agree that the danger posed by returning jihadists is significant: already radicalized before they joined groups like the Al Nusra Front and the Islamic State (IS or ISIS), they are now well-trained in the practice of terrorist warfare. Unlike most Westerners, they have overcome any discomfort they may have previously felt about killing or confronting death. Chances are, they've already done it. And their numbers are increasing: already an estimated 3,000 westerners have made the move to join the Islamic State and similar terrorist groups. Hence many countries, including the Netherlands and England, have determined to revoke the passports of any Syrian fighter known to carry dual nationality (many second-generation Turkish and Moroccan immigrants carry passports from their family's land of origin. Similar bills have also been proposed in the U.S., such as one put forward by U.S. Rep. Frank Wolf, R-Va. The UK has also considered confiscating the passports of all British citizens who join the jihad, but such measures have been rejected on the basis of concerns about leaving individuals stateless. But now some experts – and returning jihadists – say ISIS "sleeper cells" are already embedded in the West. So-called "Jihadi Hunter" Dimitri Bontinck told the UK's Mail Online last month that "influential sources" had informed him of such cells, and warned that they were "preparing to unleash their war on Europe." And an ISIS defector reportedly told a Scandinavian broadcaster of similar sleeper cells in Sweden which were, he said, "awaiting orders." But if the AIVD and other intelligence agencies can barely follow the ones they know, this leaves countless other radicalized Muslims in Europe easy prey for Islamic State recruiters, who have already turned Europe's efforts to block returnees to their advantage. With videos online and with extraordinary social media prowess, IS agents are increasingly encouraging Western supporters to work from home: spread the word, motivate others to make the trip (known as "making Hijrah"), or prepare to attack the infidel on Western soil. And attack they have, as in the beheading of Fusilier Lee Rigby on a London street in 2013, the killing of a Canadian soldier, Cpl. Nathan Cirillo, in Ottawa on Oct. 22, and the hatchet attack on NYPD officers in Queens, N.Y. only two days later. Other assaults have been thwarted, such as the alleged plot by three British men who, prosecutors say, were inspired by ISIS calls for attacks on unbelievers. The men were arrested Nov. 6 in London on charges of planning to behead civilians. In Germany, ISIS support has grown so threatening that in September, the government passed a law to ban it outright. 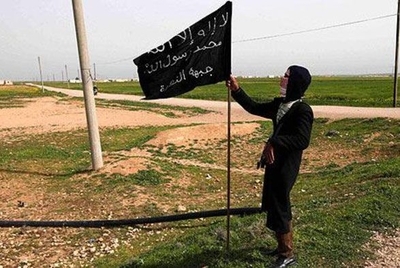 That legislation includes "a ban on activities that support the Islamic State in Iraq and Syria, including any displays of its black flag, as part of an effort to suppress the extremist group's propaganda and recruitment work among Germans," the New York Times reported. On Dec. 5, officials used the law to close a Bremen mosque; sermons there allegedly encouraged young Muslims to make Hijrah – to migrate – and join in the jihad. In France, where an estimated 700 people have made Hijrah – the highest number in Europe – an ICM poll conducted last summer for Russian news agency Rosslya Segodnya found that one in six people support ISIS. Among those aged 18-24 – the age of most of the country's Muslim population –27 percent indicated a "positive opinion" of the terrorist group. These are not just mathematical figures. They represent people: tens of thousands of young men and women. In fact, the Guardian observes, an analysis by Italian academics of more than 2 million Arabic-language posts online found that "support for Islamic State among Arabic-speaking social media users in Belgium, Britain, France and the US is greater than in the militant group's heartlands of Syria and Iraq." This is exactly the question Rotterdam Mayor Ahmed Aboutaleb –a Muslim of Moroccan origin – is asking. Despite his own hard stance against Islamic radicalization, the number of youths in Rotterdam suspected of radicalizing has increased by 50 percent over the past year. While attending the trial of one suspected jihadist, Dutch daily AD reports, Aboutaleb wondered aloud "why such youths, well-educated and full of promise commit themselves to the jihad." "The question is," he is quoted as saying, "who are the people who go? Why do they make this step? Because they feel discriminated? Because they're unemployed? Rejected by society? I don't get that. Doubtless, that would maybe push someone over the edge, but there have to be other arguments that play a role." Ultimately, these are the questions everyone should be asking – intelligence and law enforcement agencies most of all. Because as the number of Western jihadists rises, and the support for ISIS grows, one thing is becoming clear: that until we have the answers to the basic queries, nothing else we do will matter. The question is," he is quoted as saying, "who are the people who go? Why do they make this step? Because they feel discriminated? Because they're unemployed? Rejected by society? I don't get that. Doubtless, that would maybe push someone over the edge, but there have to be other arguments that play a role." Thank you for the nice article, though I would have prefered that we amphasize on the appelation "radicals" rather than "Muslims". The KKK do not reprensent Christendom, so I don't see why we should call ISIS' radicals "Muslims". Cheers!